A travel story of the author that chronicles his adventures and mis-adventures, and the amazing people he met as he journeyed throughout India. The author was a monk of the Vedanta Society of Southern California from the early fifties. After a few years, he felt a need to go to India and experience India for himself. On the one hand we have a travel story that chronicles his adventures and mis-adventures, and the amazing people he met as he journeyed throughout India. At another level, the book is a memento of the spiritual power he felt in a world far removed from his own. When the book first came out many years ago, it was controversial. The author's frank tales offended some people, but others, especially in America loved reading about the author's experiences. 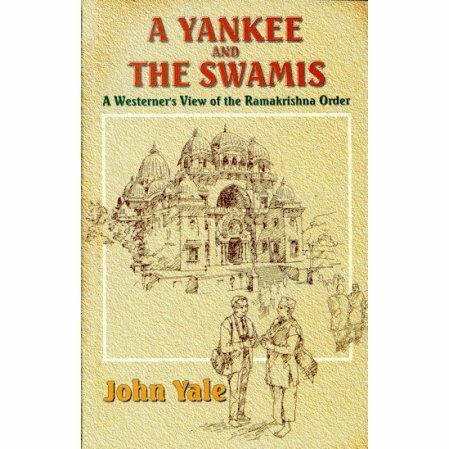 John Yale's impressions of his Indian trip were first serialized in our magazine Vedanta and the West, then later came out in book form. Eventually, the book went out of print for many years, and was only recently reprinted in India. The author recorded his visit to India, 1952- 1953, under the umbrella of the Ramakrishna Order. He takes many points of view: a devotee, a critic, a monk in training, a travel writer, an intellectual, a public speaker and above all, a Yankee. The book is a little of everything. This is a zigzag story and the people around him are peripheral. It might have been better to edit the book into two or three shorter books each with a more focused theme. Compare this book to Days in an Indian Monastery by Sister Devamata, who was also an American who travelled to India to pay her respects and record her impressions. Her pilgrimage to India was one long prayer.